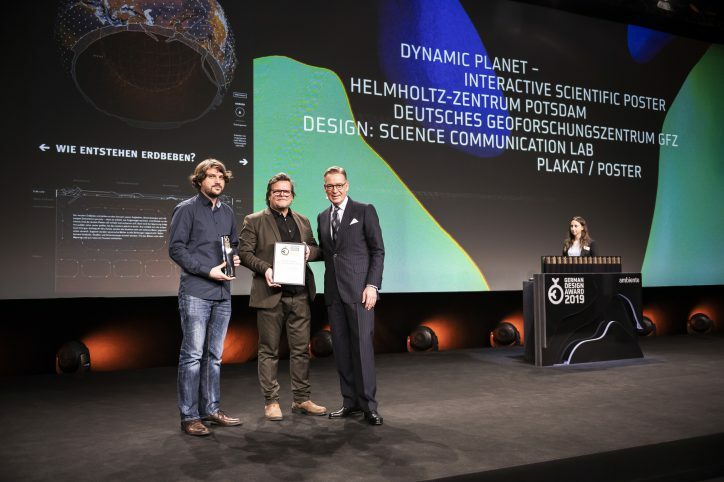 We are so thrilled that the interactive scientific Poster „Dynamic Planet” was awarded with the 2019 German Design in Gold! The Science Communication Lab has already won this prestigious award for the second time. 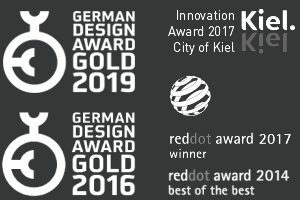 The German Design Award is one of the world’s most renowned design competitions and has a high reputation among experts. For us, it is a unique confirmation that we not only speak of excellent design for science, but that this is also confirmed by the highest committees.